Canadian mining and metals companies are keeping cost control and project execution top of mind in 2013 as shareholders become more risk averse, said Thursday Ernst & Young. "High returns in recent years have attracted a different breed of investor with a different risk appetite to the mining and metals sector," said Bruce Sprague, Ernst & Young's Canadian Mining and Metals leader. He added that those shareholders are more sensitive to changes in market conditions and less comfortable with the longer-term horizon and returns. Ernst & Young believes the changes in investors profile are creating a very different operating environment for miners. "Shareholders aren't willing to take as many risks in the year ahead," said Sprague. "They're putting pressure on companies to deliver projects more efficiently and reduce capital spend on new projects and investments — a much more conservative approach," he added. After a very production focused decade, miners are now exercising greater restraint and more consideration around project execution. 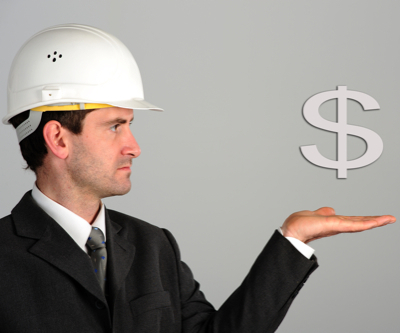 Every project must be cost competitive or risk being stalled or shut down. "Companies are evaluating their long-term strategies and how they can achieve growth goals without permission from shareholders to invest," explained Sprague. "We're seeing a lot more focus on cost-reduction strategies, including evaluating capital expenditure opportunities." Prioritizing investments, enhancing project controls and managing local community stakeholder relationships are other key areas of attention — especially as infrastructure development and a skills shortage threaten to raise costs. "While we expect the fundamental demand story for mining and metals to remain strong, there's growing concern around how the current hiatus in new capital approvals will impact future supply," said Sprague. Ernst & Young concludes that companies able to achieve sustainable, long-term improvements in productivity and capital project execution will be best positioned to take advantage of opportunities when new capital investment returns.